“Afishionado” 24′ Center console, custom built by Sheaffer Marine. 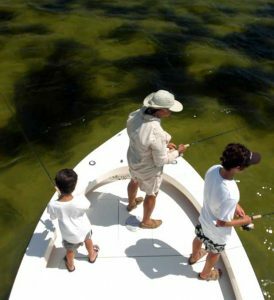 Family friendly, Tampa Bay, St Petersburg, Clearwater fishing guide. Tampa/St. 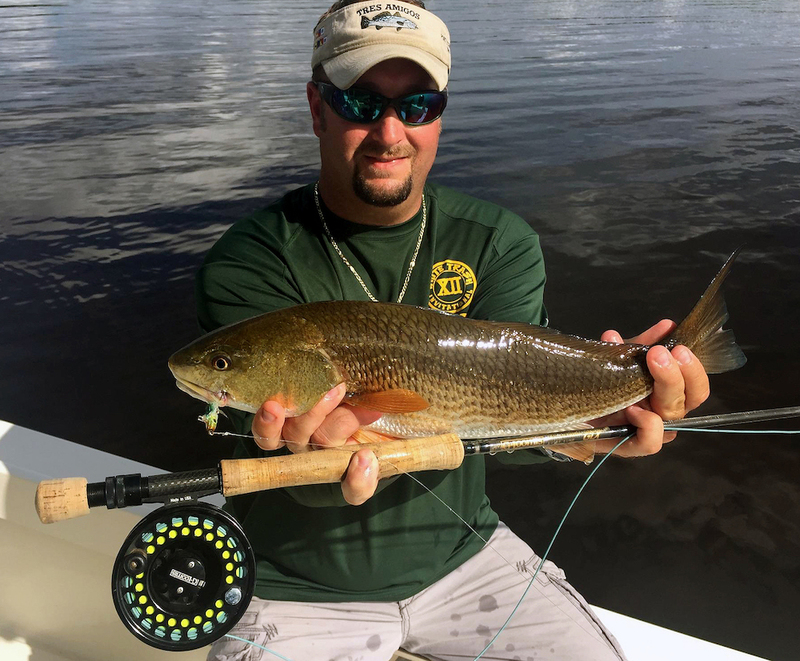 Petersburg fishing guide Captain Wade Osborne, holds a USCG Master Captain’s license, has been plying the waters of west central Florida as a professional FULL-TIME guide since 1997 and is an active member of The National Association of Charter Boat Operators. 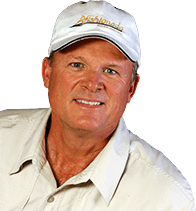 Osborne has been featured on numerous TV shows, including Average Angler Adventures, 10 News WTSP “Do My Job” with anchor Joe Gumm, The Fishing Challenge, Fish Buzz TV, Your Guide to Fishing with Captain Mel Berman, Bay News 9’s On the Water segment and featured in a Bay News 9 “Klystron 9 Radar” promo. Some of these appearances can be viewed on the video page. World-Class light tackle sportfishing specialist. Tournament winning captain Osborne strives to make every fishing charter a memorable fishing adventure and with satisfaction passes on his knowledge, skills and passion for the sport. Whether instructing children or novice anglers his approach is patient and courteous. When it comes to guiding avid anglers, Osborne understands they just want to catch fish. Local fishing enthusiasts and vacationing anglers alike find his fishing charters to be an enjoyable and informative experience. 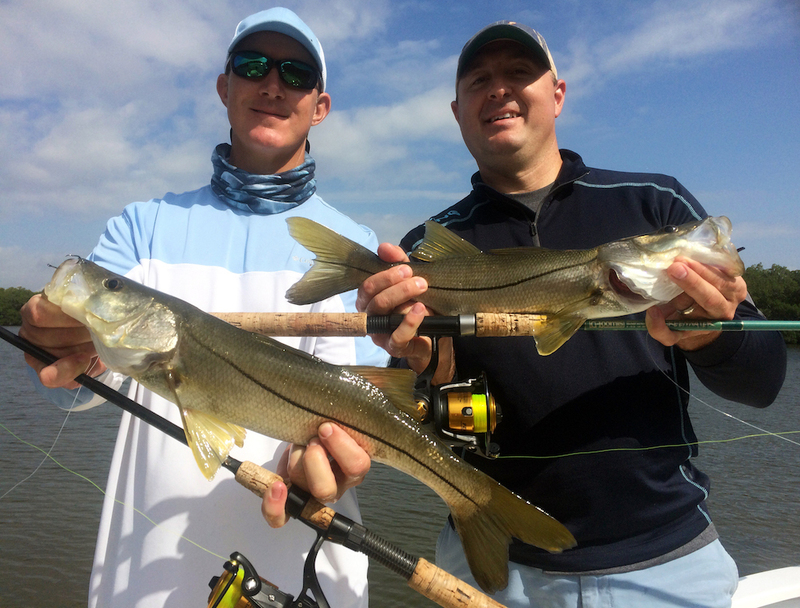 Catch Florida’s most popular species on fly. Afishionado Guide Services can accommodate one to six anglers in comfort aboard Afishionado, a 24’ Sheaffer boat custom made in Tampa at Sheaffer Marine by master boat builder Ben Sheaffer. 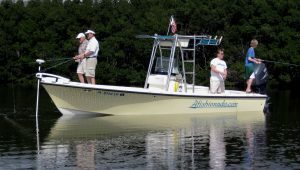 Sheaffer boats are extremely stable and regarded as the best bay boat on the market by discriminating anglers. The Sheaffer front deck offers a wide platform for adults and children to move around freely while safely casting and reeling in fish. Osborne provides his clientele with the very best fishing tackle available on the market today. Experience the thrill of catching Florida’s most popular inshore and offshore species on light tackle or fly while using G-Loomis, Penn, Dawia, Sage and Tibor. When booking your next Tampa or St. Petersburg fishing charter, choose the best, Afishionado Guide Services. Afishionado Guide Services specializes in organizing multi-boat company outings, team building events, corporate and charity tournaments. Large events require expertise and planning for a successful outing. Tides, location and weather all play an important role in the planning phase. Osborne also maximizes your fishing event by enlisting only the best of his associate fishing guides in the Tampa Bay area. All captains are USCG licensed, insured and operate with safety in mind. All associates have excellent attitudes and work hard to ensure everyone has an enjoyable event. For your company’s next team building event, company outing or tournament call on Afishionado Guide Services.